Doll we are obsessing over this utility jumpsuit. 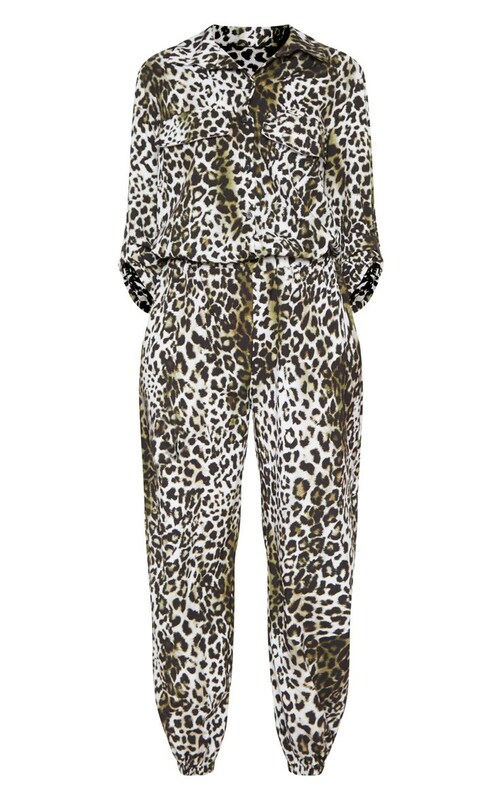 Featuring a green leopard print design material with a pocket detail and elasticated cuffs. Team this with strappy heels and a statement clutch to complete the look.